Prominent & Leading Manufacturer from Chennai, we offer Children Leather Shoes. We bring forth our vast industrial experience and expertise in this business, instrumental in providing Children Leather Shoes to our customers. 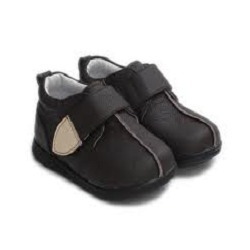 This Children Leather Shoes is designed in compliance with industrial norms by utilizing optimum quality leather and modern techniques. Further, it is available at market leading price.